Across the street from the Remington Theater and half a mile from the Shoji Tabuchi Show, the Hampton Inn Branson on the Strip gives you easy access to Branson's many attractions and entertainment options. 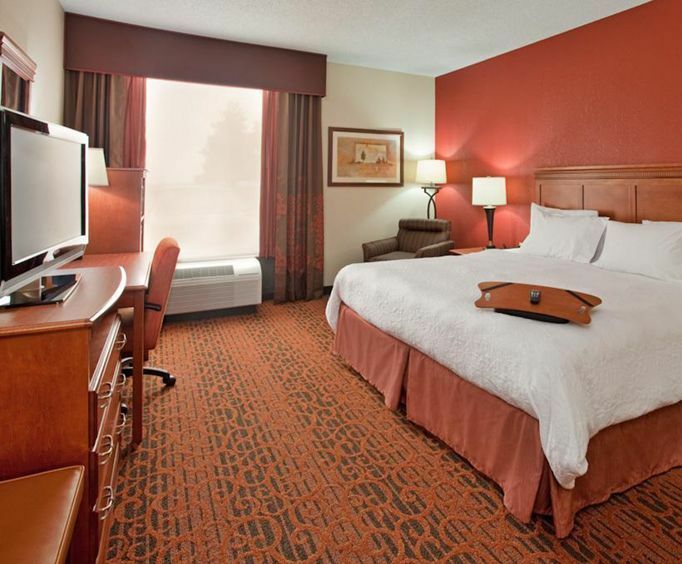 The hotel includes various amenities such as indoor and outdoor hot tubs, laundry service and business center. Start your day with the free hot breakfast provided. Attractions within two miles of the Hampton Inn include the Branson Titanic and the Hollywood Wax Museum. 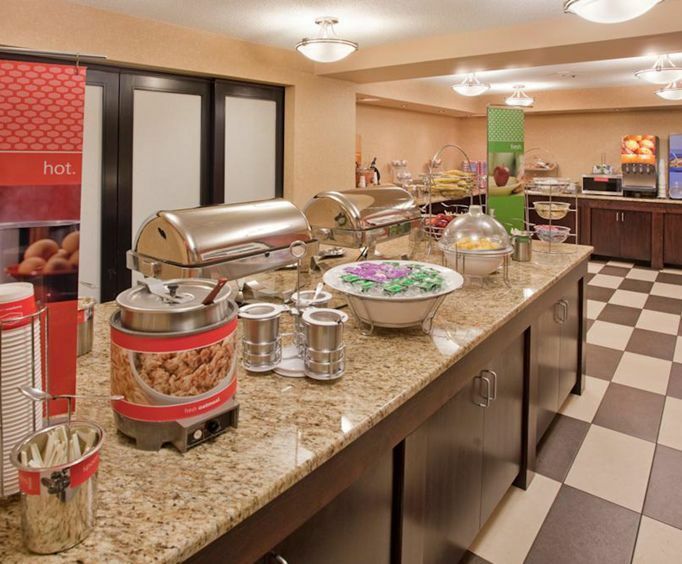 The inviting hotel lobby offers coffee and a complimentary breakfast is available in the well-equipped breakfast area. A business center with available fax and copy service is available to guests. There is also a computer and desk on the main floor of the hotel. Watch the latest news and weather on the flat screen television in the lounge area. 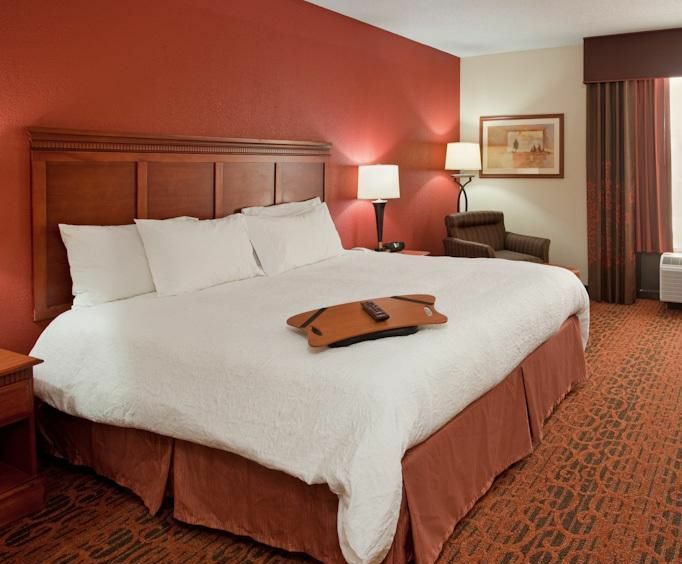 Your room at the Hampton Inn Branson includes a coffee maker, iron and ironing board, cable television and high-speed wireless television. There are also mini-suites that include king-sized beds, a sleeper sofa and a whirlpool tub. The location of the Hampton Inn Branson is mere feet away from some of the best restaurants on the strip. Gilley's Texas Cafe, Botanas Restaurant and Bar and Elenita's Mexican Cafe are all within 500 feet of the hotel. Hotel was great, the only problem we had was that the maid came in our room without knocking. Management handled this right away. "Needs a micro / fridge"
Ti’s mince and clean people are friendly and i like that they have a workout room and that it’s right in middle of everything. I will stay there again.